While in Mykonos, you’ll notice locals enjoying the island sun with one of the famous coffees of Greece in hand. Here’s a post to get you prepared for the special coffee drink variations during your visit to our island. 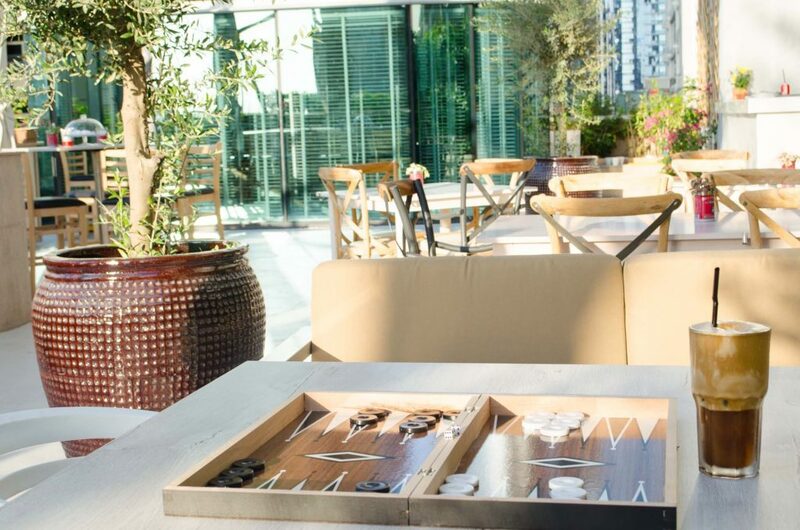 Greeks enjoy a good coffee while playing backgammon, meeting with friends, lounging by the pool or relaxing at the beach. If you want to sip and enjoy coffee like the locals do, try the coffees of Greece. Despite their Italian names, the coffees of Greece are much different in taste and preparation from their Italian counterparts. 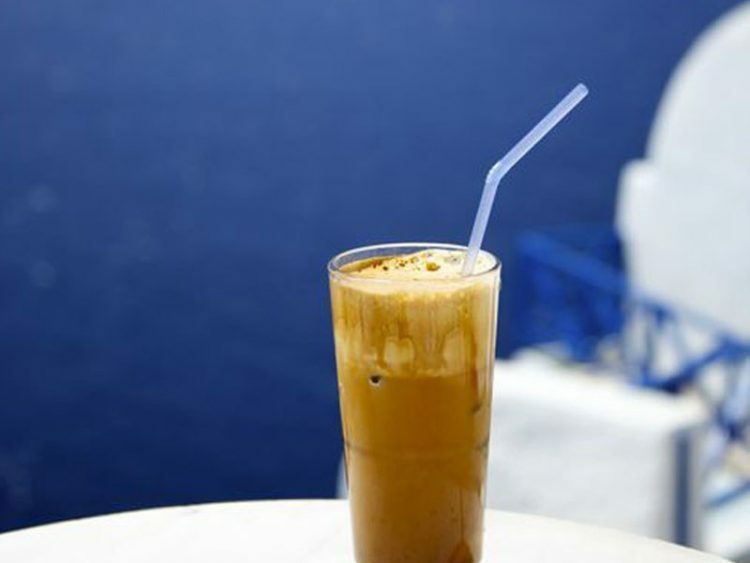 Noted as the national cold coffee beverage in Greece, the frappe is known for its strong flavor and texture. It was invented by chance in 1957 at a fair in Thessaloniki and has since been a part of Greek coffee culture. A frappe is a mix of milk and sugar and up to three tablespoons of Nescafe but shaken very well in a shaker. The mixture has a bit of water as well as lots of ice cubes. In the ’90s, Greeks started drinking more espresso and cappuccino. Eventually the cappuccino freddo was born. It is characterized for its afrogala, which is milk foam, that is set on top of the coffee. The final touch is a lot of ice. The espresso freddo is a strong cold coffee, a double espresso on the rocks. It’s another favorite summer coffee in Greece. This is a sweet mix of coffee, chocolate, milk and sugar and some say it resembles a mocha milkshake. It was invented in 2002, and is usually served with a topping of whipped cream. It is a very sweet treat. 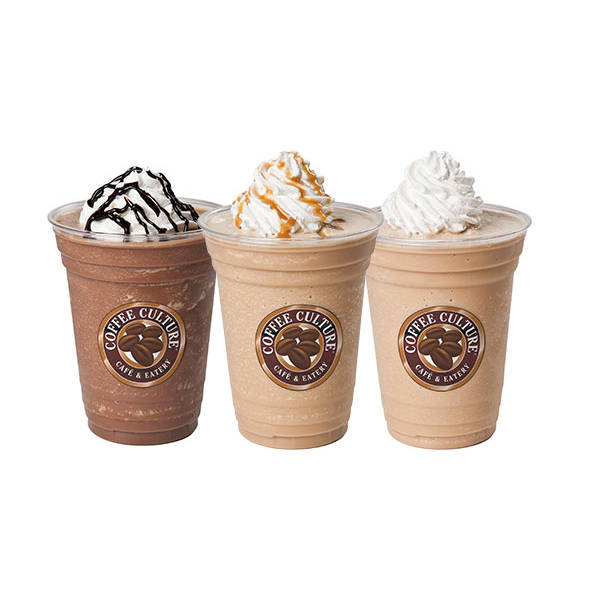 Except for the freddoccino, you’ll need to tell the server how sweet you want your cold coffee. In fact, there’s a special Greek vocabulary for this. If you don’t want sugar you say sketos. If you want one teaspoon of sugar you say metrios. If you want is sweet (with two teaspoons of sugar) you say glikos. 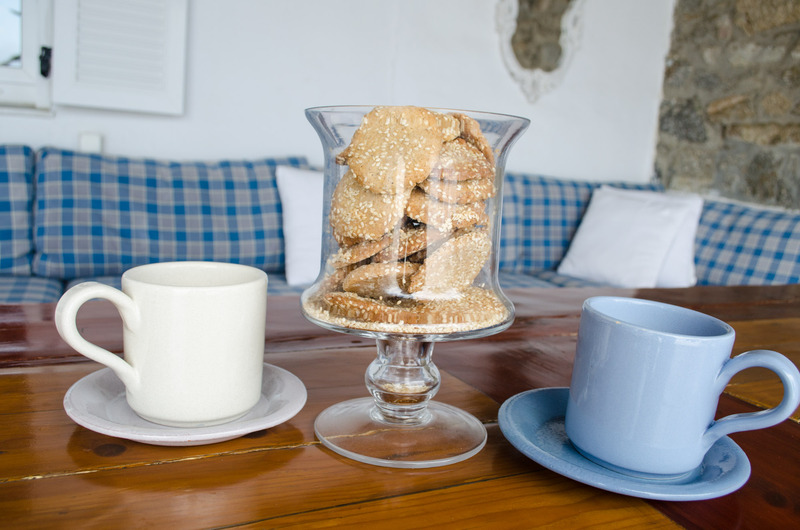 If you are a coffee lover, we suggest you head to a scenic beach side café and order one of the local coffees of Greece. Sip slowly and enjoy. While you do that, you will realize that drinking coffee in Greece is not just a habit, it’s a daily ritual. 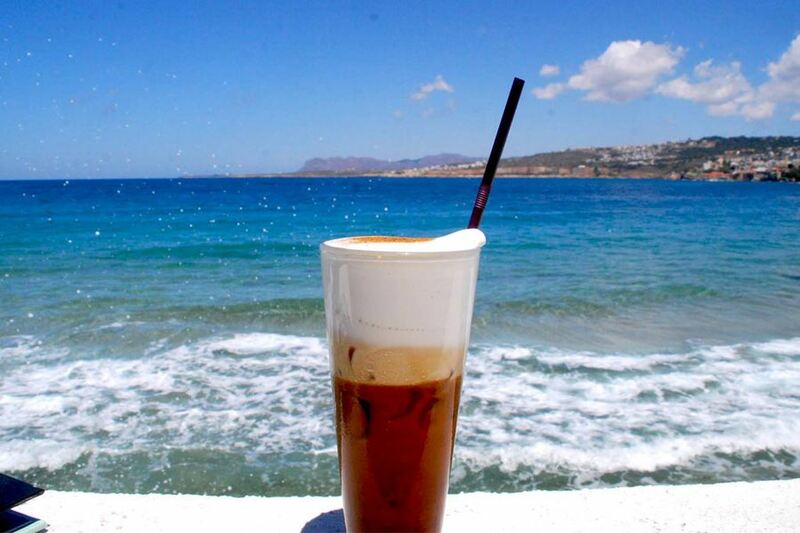 On Mykonos, the gorgeous scenery of the island makes having a summer cold coffee that much more special. 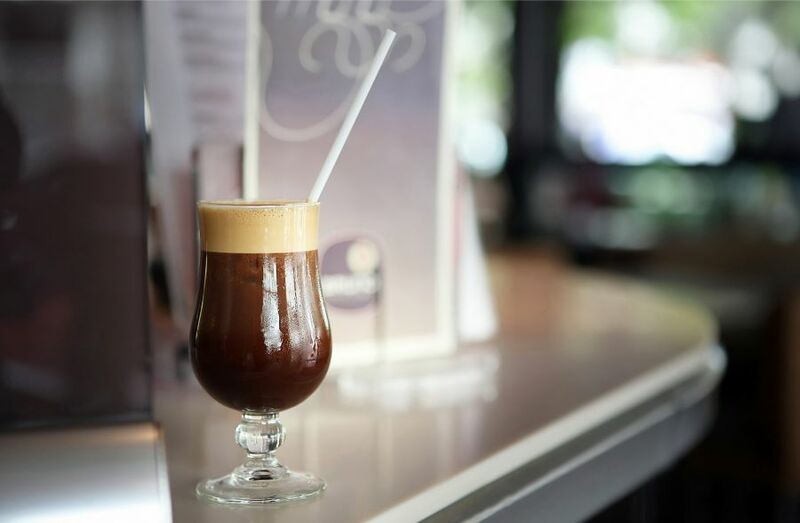 Have you ever tried a cold local coffee during your travels?